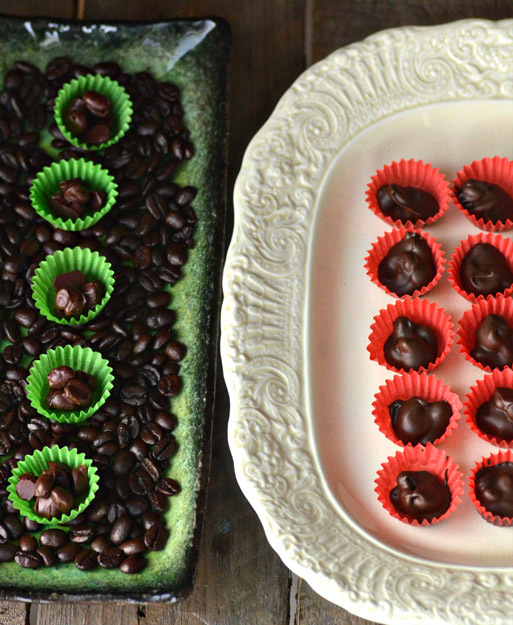 If you are a java fiend like me, you’ll love the idea of making your own chocolate covered coffee beans! 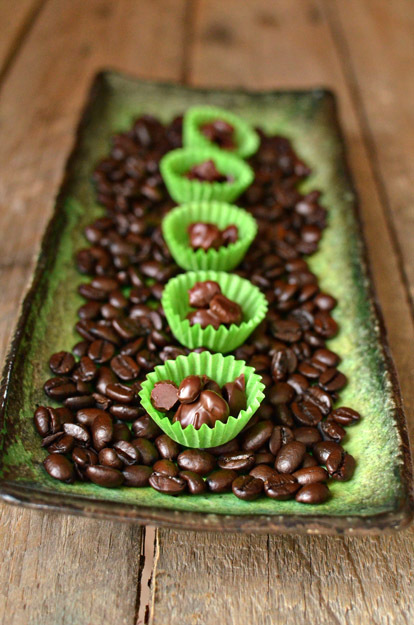 Perfect for a coffee-themed wedding! 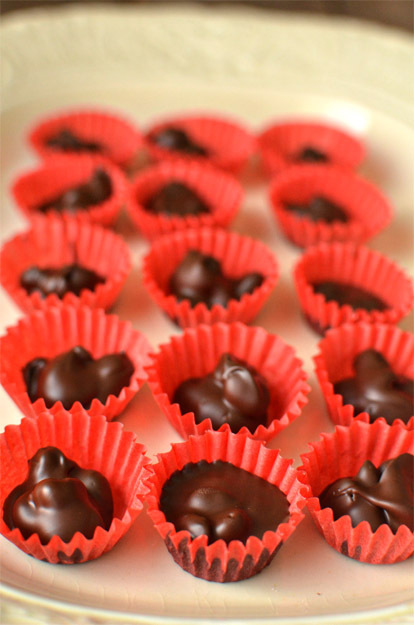 Give them as favors, or serve them up with gourmet coffee at your coffee bar. 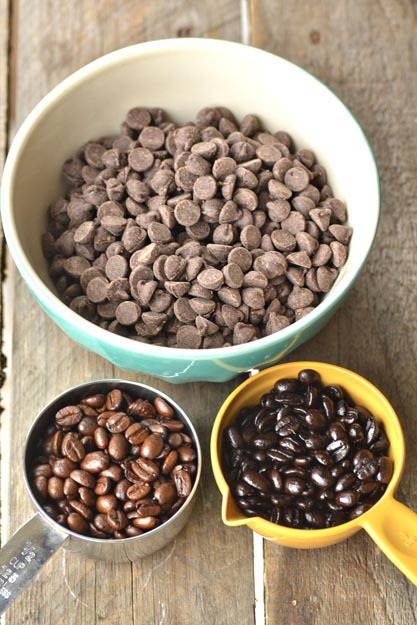 You can experiment with different varieties of coffee beans. I used Starbucks French Roast Dark beans and Zavida Hazelnut Vanilla; if you prefer something less robust, go with milder beans. 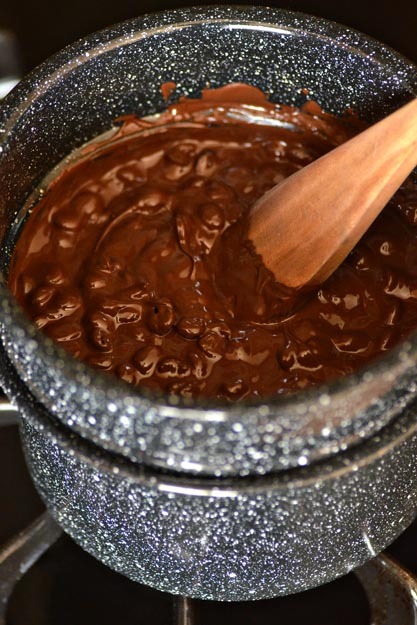 Pour your chocolate chips into a double boiler. 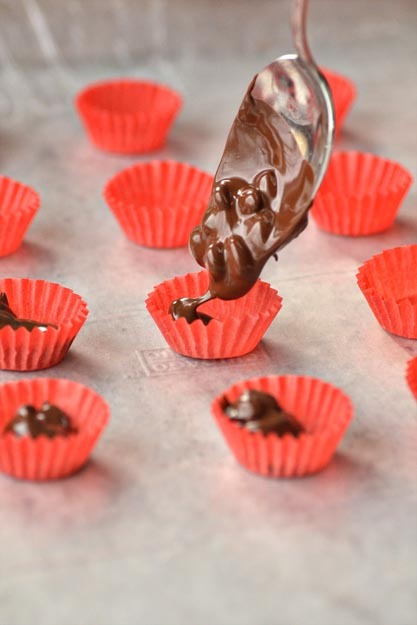 Melt chocolate. Add coffee beans. 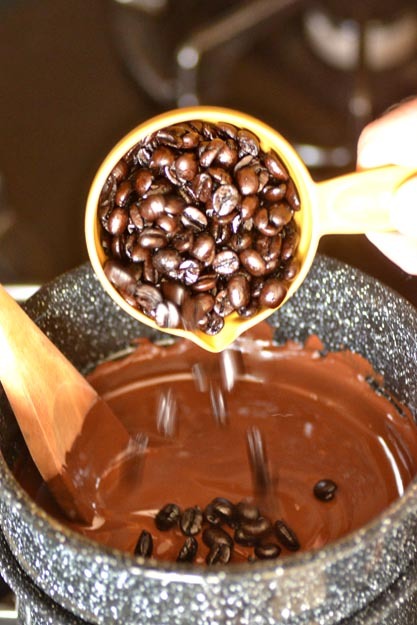 Stir coffee beans into chocolate until coated. 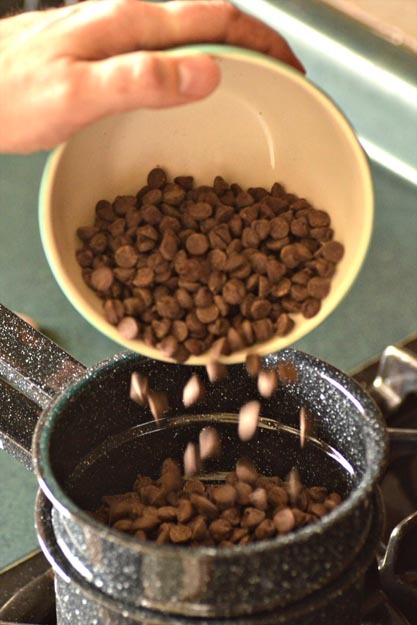 Remove each bean with a fork. A bit tedious, but worth the hassle. 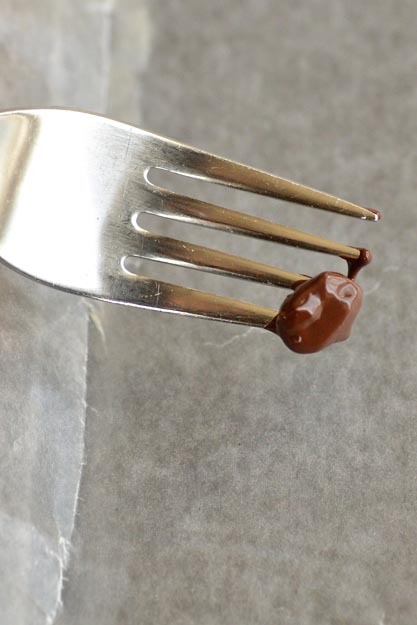 Place beans on a parchment lined baking sheet. 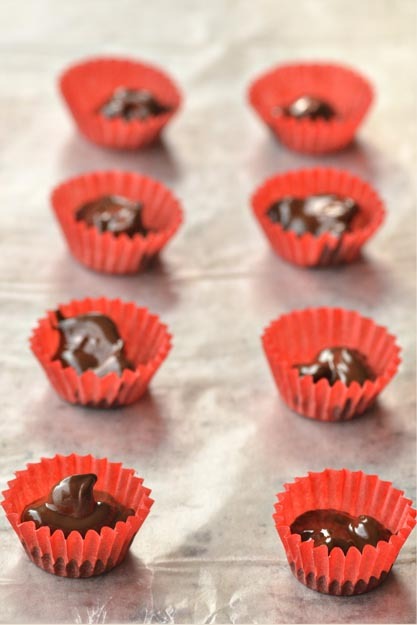 Place in refrigerator for 30 minutes. Viola! 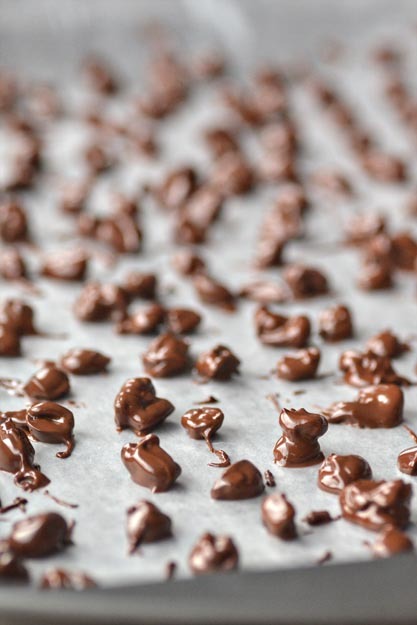 If you want to take a less tedious route, create coffee bean clusters by placing the melted mixture into paper candy cups. 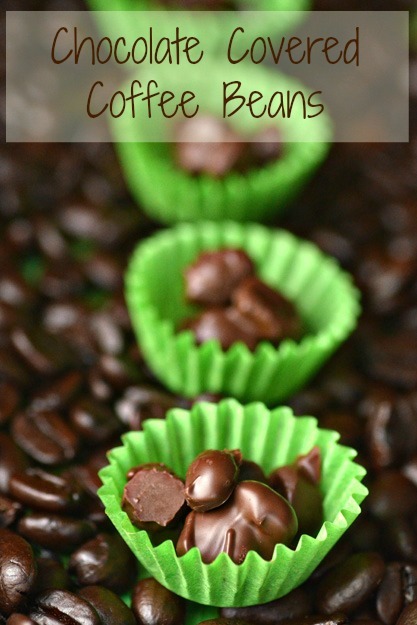 Is there a single coffee lover that could resist this?